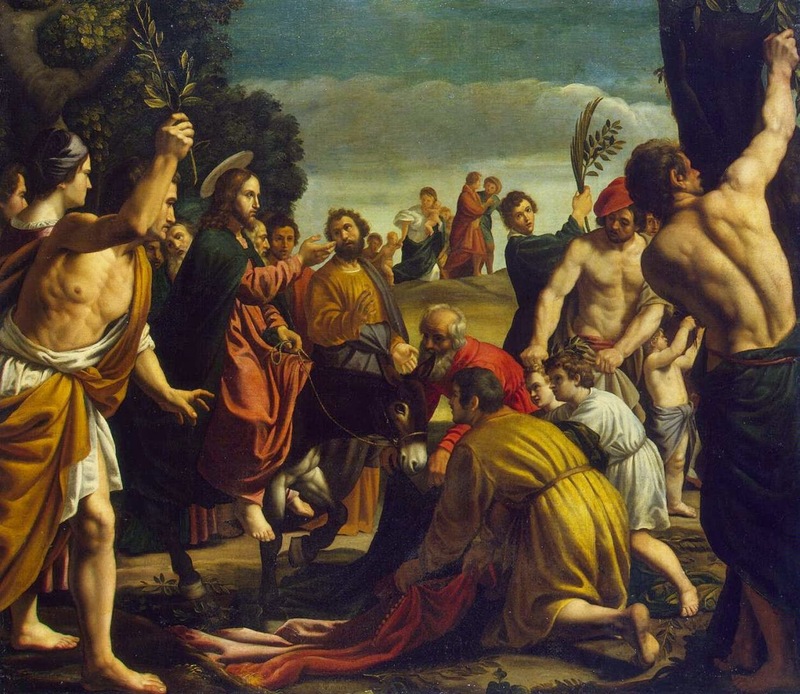 Here is an excellent series of recorded commentaries on works of art by Fr Michael Morris of the Dominican School of Philosophy and Theology. Fr Morris, who is on the full-time faculty of the school, heads their Religion and the Arts program, and writes the sacred art meditations for the monthly Magnificat magazine. 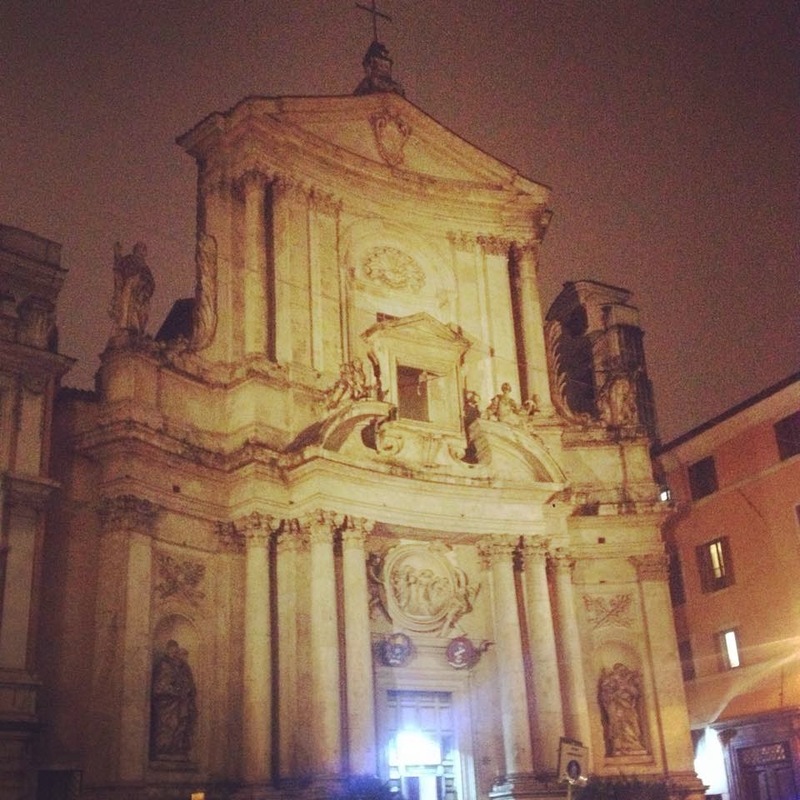 He has been posting one a week during Lent, and they can be viewed here. I encourage readers to visit this site watch these videos. 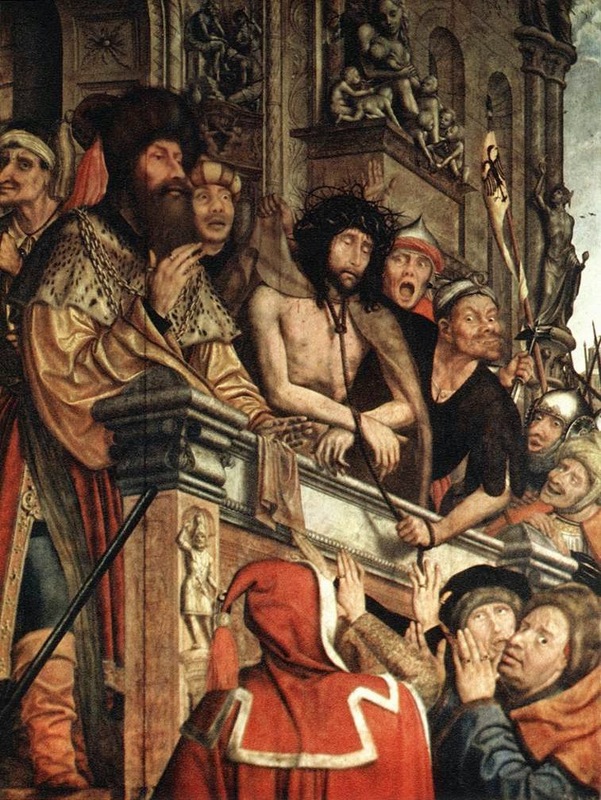 At the end of this article is his meditation on the Ecce Homo by the Flemish artist Quentin Massys; the original painting is in the Prado in Madrid. This does raise the question of what is purpose of such meditations? How do we make use of all the great information they contain? Do they help our participation in the liturgy? If so, how? If we cannot answer these questions satisfactorily then perhaps what we have here is just a bit of pious relaxation, one step up from vegging out in front of a documentary on the television - Catholic PBS! The first point for each of us to ask ourselves, I suggest, is this: am I doing this as an exercise in understanding the work of art, or treating the work of art as a means for enhancing my knowledge and understanding of the Word? If it is the former, (and I speak for myself here), then I am indulging in intellectual pride or a cultural affectation. I might as well be be taking a benign secular art history course which, while acknowledging the Catholic intentions of the artist, is detached from them. Even if my goal is the latter - enhancing knowledge and understanding of the Word - then unless it is conformed to the ultimate end, it becomes another form of intellectual pride in which I am seeking theological knowledge and understanding, rather than artistic. I suggest that it is analogous to the study of Scripture, which when done well, internalizes what is learned so that our worship of God is more worthy. This last point raises yet another additional question. 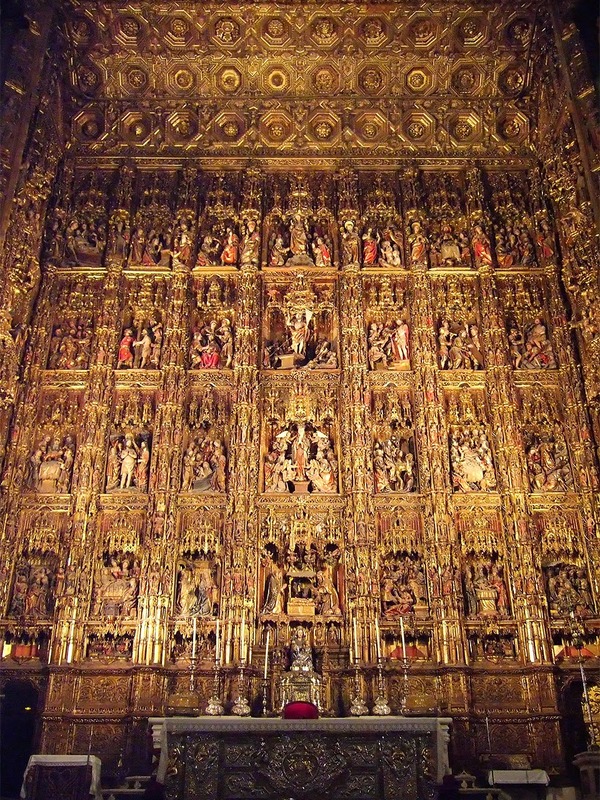 If meditation on art is analogous to study of Scripture, why bother with the study of art at all? Why not just study Scripture directly? This suggests that the words of the art meditation are just a first step. They lead us into a receptivity of those aspects of the work of art that are not said in the mediation, and which are “beyond words”. This is a passive, contemplative mode of study. It is, when understood in this way, a sort of visual lectio divina. 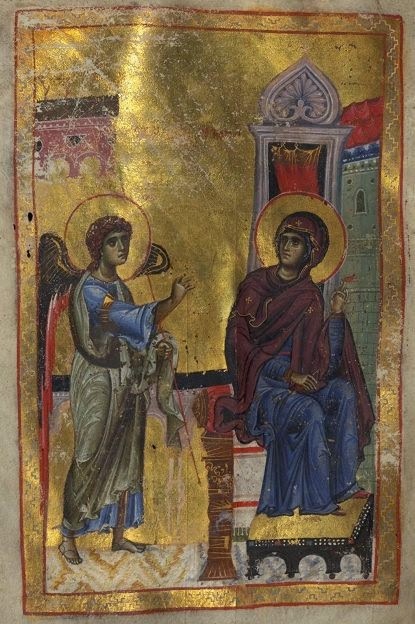 This is not a new idea; St. Claire of Assisi, for example, is often credited with the development of a technique of meditating on art in this way. I suggest that in fact, unless art is studied in conjunction with this contemplative mode, then one might as well just be reading the truths of theology from a written script; we are not gaining anything beyond the words by looking at the picture. And then we must go further still. 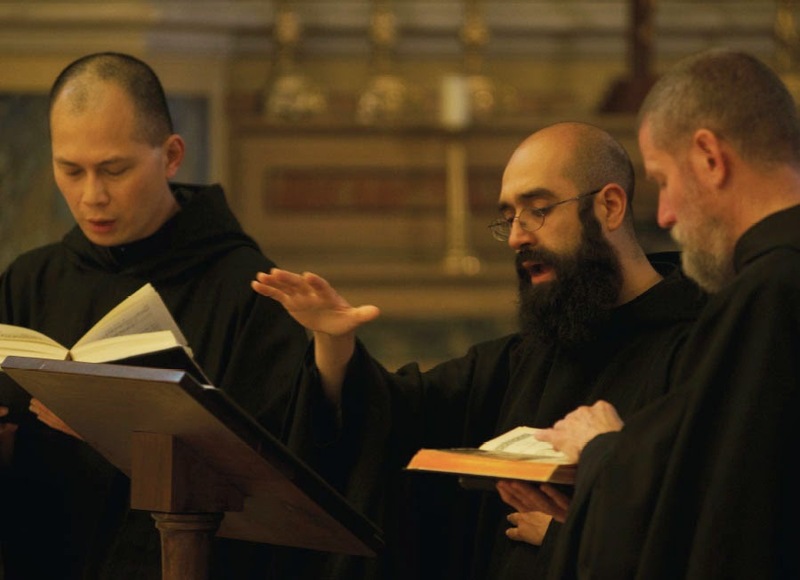 Just as Benedictine spirituality as outlined in the Rule does not end with lectio divina but rather with the Opus Dei, the work of God - worshiping him in the Sacred Liturgy - so our meditation and contemplation of art must be directed towards this higher goal. There are two ways in which this can be so, I suggest. The first, is an intellectual process that transforms us - those aspects of the Word that have been internalized by both meditation and contemplation are brought to the altar and affect our response in the Eucharist. The second is that the meditation and contemplation of the art has developed our faculties of meditation and contemplation to a higher place. So when our worship is done in conjunction with appropriate holy images we use those faculties within the context of worship and are more engaged with that imagery in a way that raises our hearts and minds to God in our worship. Those truths that are beyond words are with us in the liturgy too. 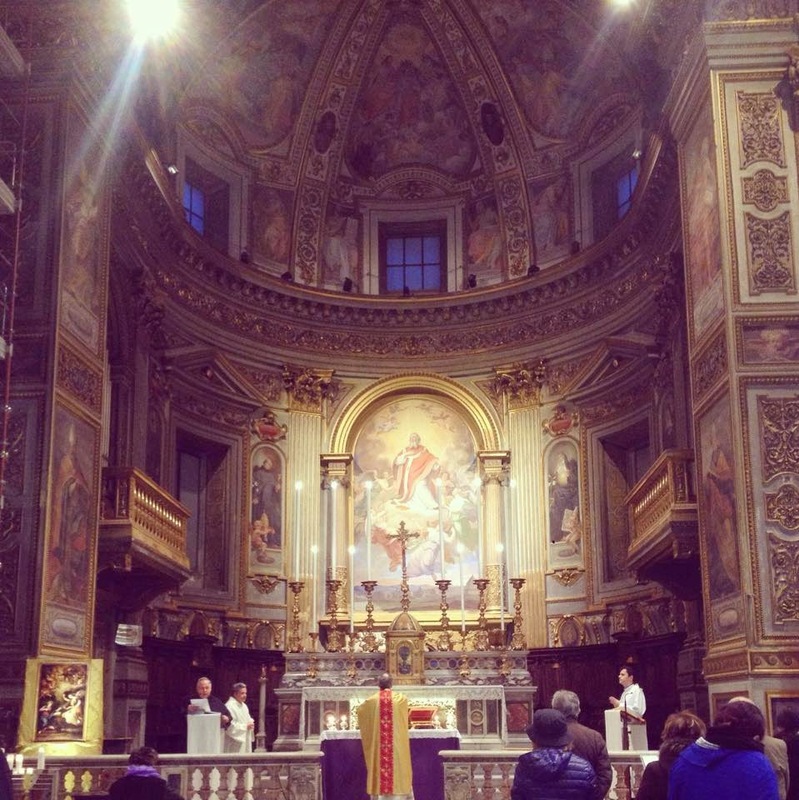 This last point presupposes, of course, that there is some decent liturgical art where the liturgy is taking place! As students, we are more likely to make this connection right up the hierarchy of ends and put it into practice if we are made aware by our teachers and develop the habit of using art work in our prayer and especially in the liturgy. Without this there is a real danger that such meditations will be just the empty intellectual exercises that give academia a bad name. The Church tells us that when it offers a Catholic education, “A school is a privileged place in which, through a living encounter with a cultural inheritance, integral formation occurs.” ( The Catholic School, 26; pub. The Sacred Congregation for Catholic Education, 1977) This encounter with our cultural inheritance is not a “living” encounter that provides “integral formation” unless it is in conformity with its highest purpose - the worship of God in the Sacred Liturgy. It is the job of those us who teach to transmit to our students how to use well the information we give, in conformity with our ultimate end; otherwise we let them down...and waste many wonderful resources such as those provided by Fr Morris. Is Lack of Solemnity a Cause or a Symptom of Our Problems? 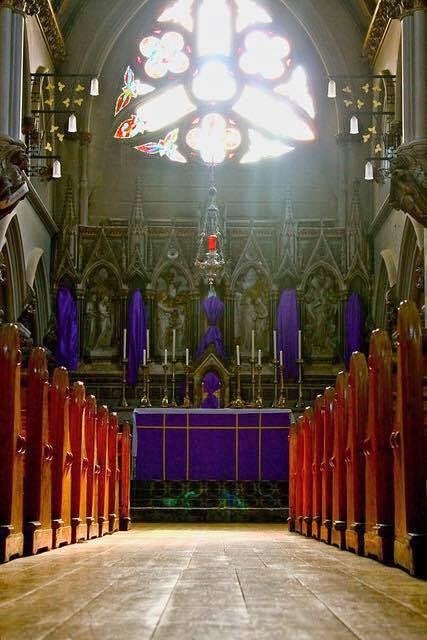 The first chapter in my recently-published book is entitled “Solemnity: The Crux of the Matter.” Part of my argument therein is that when the liturgy is not celebrated “with due solemnity,” as St. Thomas would say, it falls short of its very essence as our participation in the heavenly liturgy, it grows slack in its power to sanctify us by forming our minds and hearts, and it fails to give to Almighty God the full measure of glory He ought to receive from His creatures. 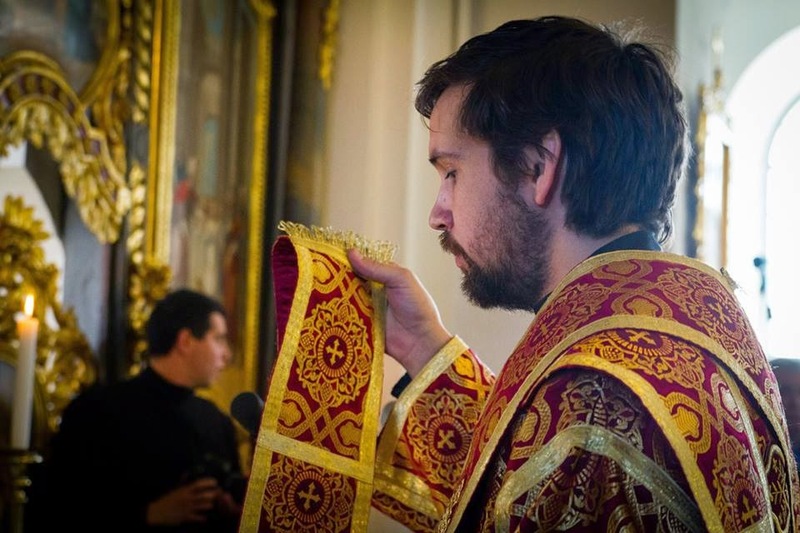 Thus, a failure to cultivate appropriately solemn liturgy causes the Mass, as well as the Divine Office (really, in either form of the Roman Rite), to become problematic, to be a cause of problems in the life of the Church and of the Christian. 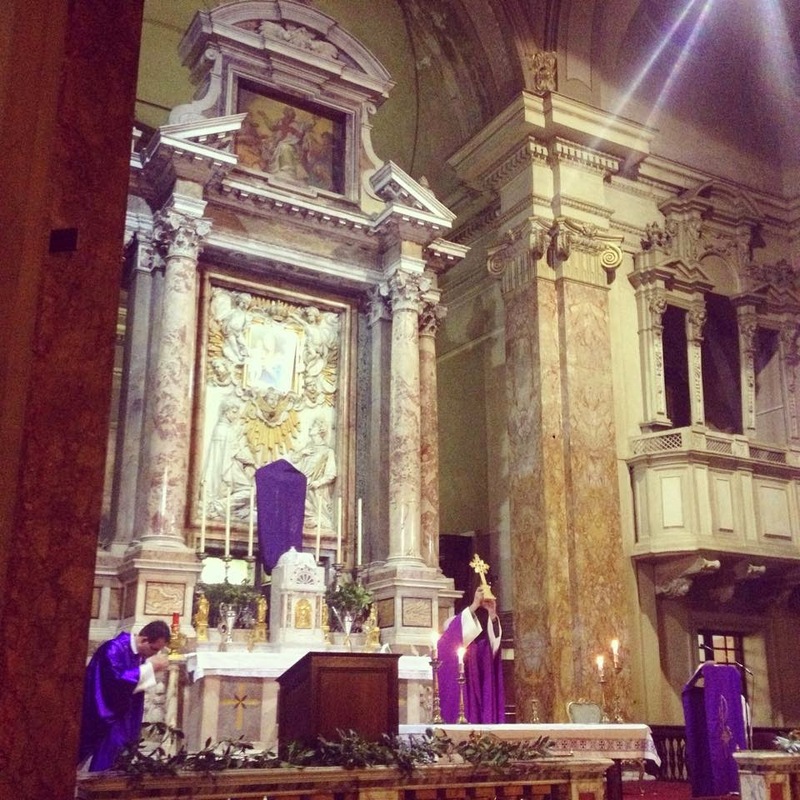 Lack of solemnity isn’t the cause of the problem with the Mass. It is a symptom of the problem with the Mass. 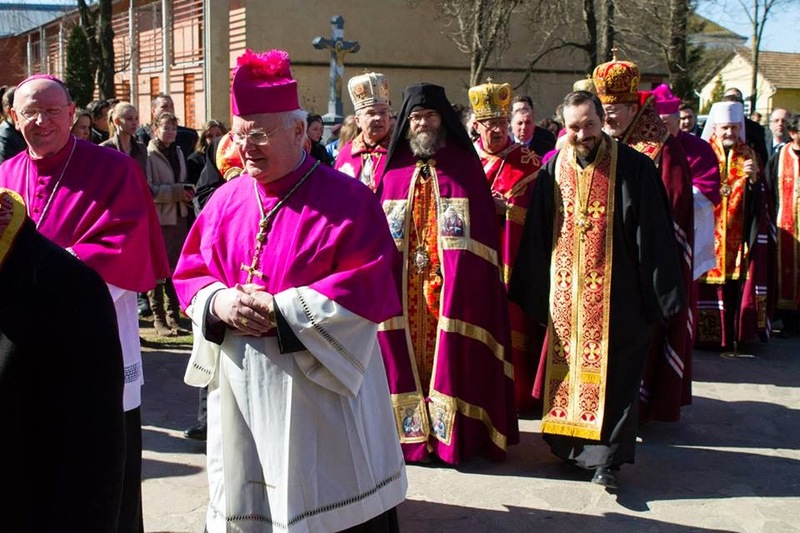 Kwasniewski lays out the alternatives well enough: either a “fault endemic to the Ordinary Form of the Roman rite of the Mass, that which follows the Missal of Paul VI”, or a “problem with the people and their shepherds.” He wastes little time deciding on the latter. But not so fast. I cannot bring myself to believe that the problem is that for the past forty years we have been failing miserably the lofty standards set for us by Annibale Bugnini and his Mighty Fifteen. Kwasniewski is not saying that either, of course, but he is hewing to a course that leads us in that direction. Briefly, human behavior does not change in a vacuum. Devotion to liturgy does not evaporate unless the liturgy has itself evaporated, or at least become so eviscerated that people no longer know what constitutes proper response. Unsolemnity grew naturally and inevitably from the lack of rubric, lack of a sense of the need for discipline, and the proliferation of one “option” after another. Don’t like chant? Howzabout a little strummin’ for Jesus? This gospel passage a little strong for you? Bracket it and omit it. Don’t like this canon? Too long? Too many saints’ names? No prob — try this one, or this one — or do what 99.9% of American priests do: stick with the real short one. Reception on the tongue a bit yucky? Take it in the hand. Want a little wine with that? 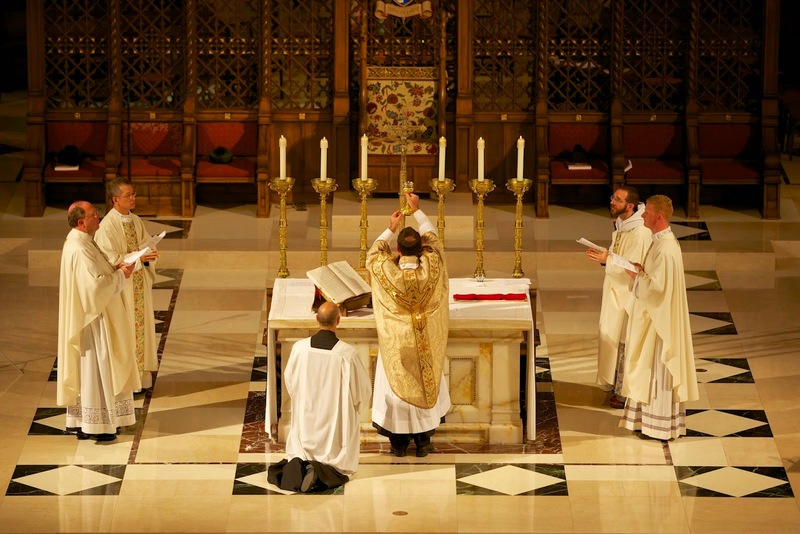 What you end up with is not a liturgy, but an anti-liturgy. That is, a “liturgy” which destroys itself by allowing so many options and so much innovation that there is little left to be solemn about. In other words, to a large extent Professor Kwasniewski has put the cart before the horse. It is the Novus Ordo liturgy and its lack of rubric that invites bad behavior, much more than it is bad behavior which spoils good liturgy. A solemn, “proper” Novus Ordo is, at best, a cosmetic solution to a much more serious problem. I sympathize with what this writer is saying; so much of it is obviously true. Indeed, I had once thought that it was going to be easier to apply the hermeneutic of continuity to the Ordinary Form than it has proved to be, for the simple reason that there are as many versions of the modern Roman liturgy as there are dioceses, religious orders, and priests who use it, and almost no one agrees about anything definite. Inculturation has led to babelization. Catholic clergy, religious, and laity who have gratefully embraced Benedict XVI’s vision of a Reform of the Reform have not yet been able to prevail over institutionalized mediocrity and the inertia of bad habit. 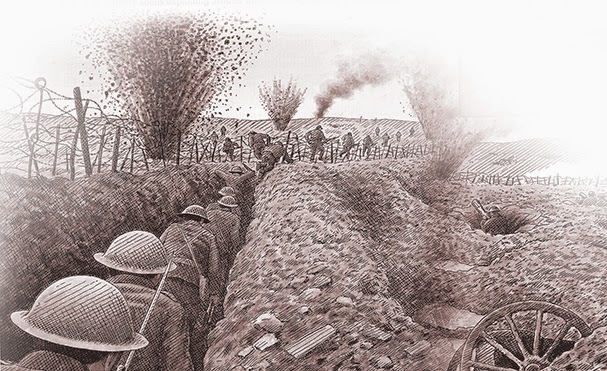 While there is no question that the Benedictine renewal is here to stay, especially among younger clergy, we cannot kid ourselves: the revival of an authentic liturgical spirit and the defeat of the malleable modernist model of the Mass is going to be a long drawn-out war, like the trench warfare of World War I. One point on which I wholeheartedly agree with my critic is when he says: “Unsolemnity grew naturally and inevitably from the lack of rubric, lack of a sense of the need for discipline, and the proliferation of one ‘option’ after another.” Only a priest classically trained, with deep religious sensibilities, would be able to approach a liturgy so formless, so laden with options, and manage to celebrate it with solemnity — or let us say, invest that ritual with the solemnity that the Mass ought to have, patterning his ars celebrandi after the pre-rupture paradigm. The revolutionary change in the liturgy in 1969/1970, no matter what one thinks of its particulars, gave a lot of people the carte-blanche excuse they were apparently waiting for (or, in some cases, not waiting for as they rushed ahead with unauthoriazed experiments): now everything is up for grabs and we can do whatever we want with the liturgy. 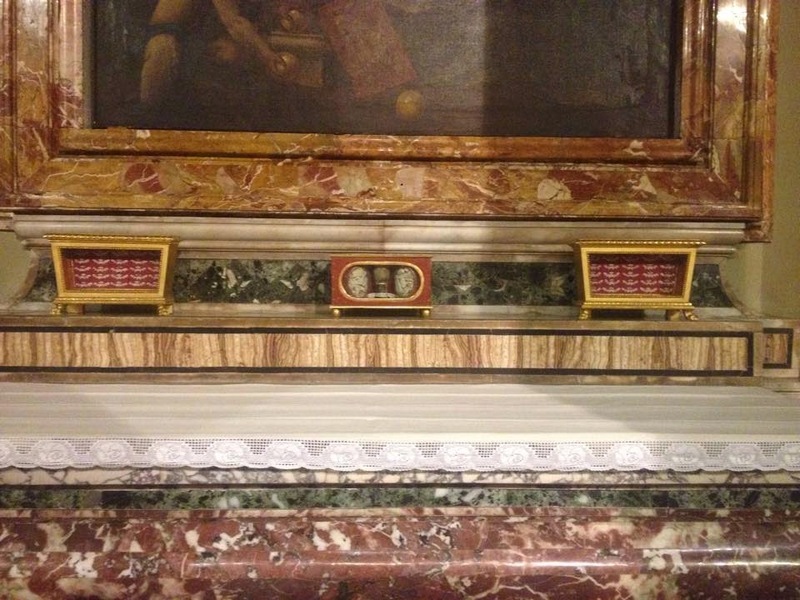 This, surely, is contrary to the very idea of a Missal or of rubrics at all. 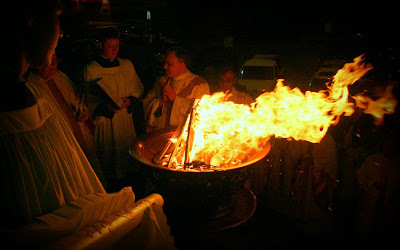 In a healthier period not so hell-bent on self-destruction, among clergy still animated with the fear of the Lord, the Novus Ordo Missae, for all its admitted faults, could have been the point of departure for dependably reverent celebrations, as can actually be seen in such rare groups as the Community of St. Martin, the Oratorians, or the Church Music Association of America. 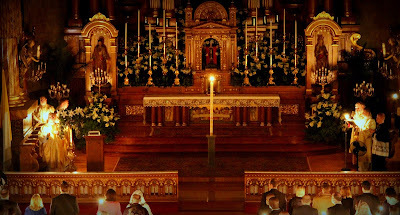 One might perhaps say that if you do not bring to the Novus Ordo Missae the spirit of reverence (presumably developed elsewhere, e.g., from the usus antiquior or from private devotions faithfully practiced), you will not find that spirit in its slim modern profile and minimalist requirements. It would certainly be mistaken, however, to claim that the “joy joy joy of participation theme” comes from Vatican II. 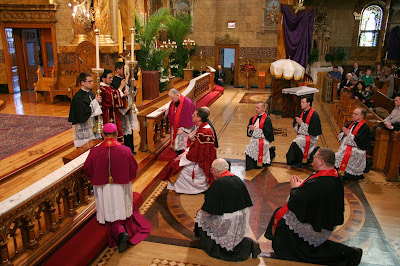 Rather, Vatican II was content to transmit the emphasis on active participation (participatio actuosa) that one finds in the exhortations of St. Pius X, Pius XI, and Pius XII, themselves echoing the original Liturgical Movement’s earnest desire to have the people take rightful possession of the liturgy inasmuch as it pertains to them — following the prayers of the liturgy with understanding, chanting the responses and the Ordinary of the Mass, joining in public Vespers, and so forth. 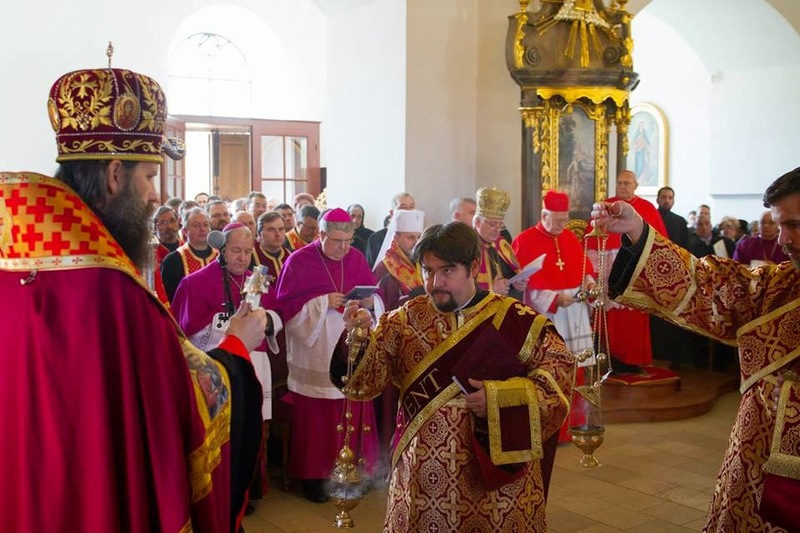 Having seen that the liturgy had become the specialized province of the clergy, Holy Mother Church rightly wished to remind the laity that the liturgy is theirs as well, the most sublime, pleasing, and sanctifying prayer for all Christians. 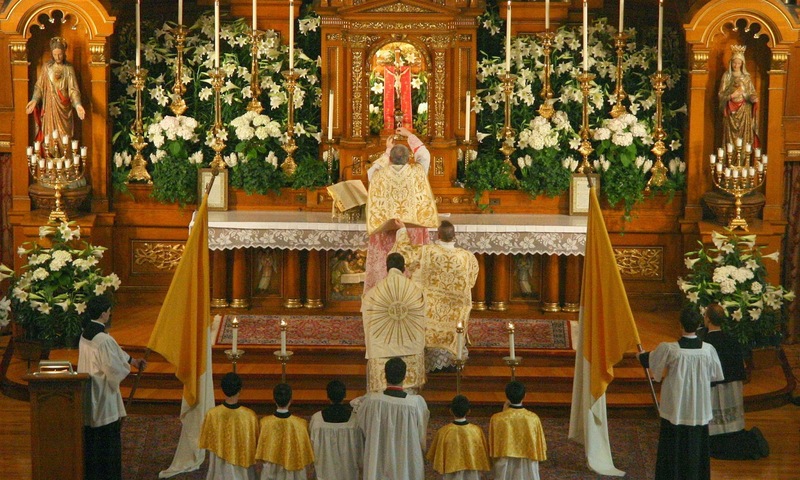 But this preconciliar program was premised on a fundamental truth: the liturgy is a gift to us from God through the generations that have preceded us, one that we must gratefully receive and enter into more and more fully. Participation thus meant entering into something already present in our midst, prior to our cogitation and volition; a transmitted body of symbols, cross-textured with words, melodies, gestures, actions, endowed with supernatural vitality and inexhaustible richness. It most definitely could not mean that we fashion something ourselves which, being in some way the image of our own mentality and our own age, we then “participate in,” as we create athletic games or board games that we then throw ourselves into. 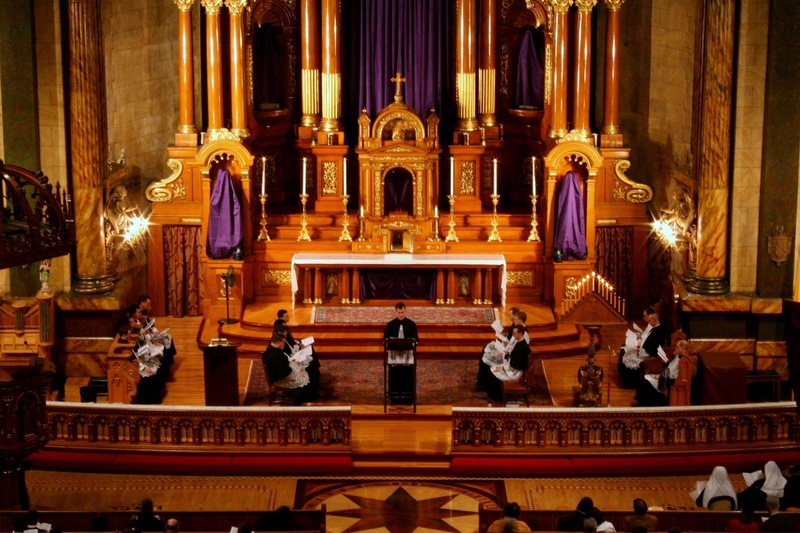 The radical distortion of the concept of active participation is only slightly visible in Sacrosanctum Concilium, in the overemphasis on having people DO-SAY-SING stuff, as if this were always necessary at every step or as if, in and of itself, it guarantees true immersion in the liturgical act. Nevertheless, in most respects — including its insistence that participation is first interior before it is exterior and that the entire success of liturgical renewal depends on sound formation — this document is in continuity with the better tendencies of the Church-approved Liturgical Movement. To return, then, to my critic, here is my agreement and my disagreement. 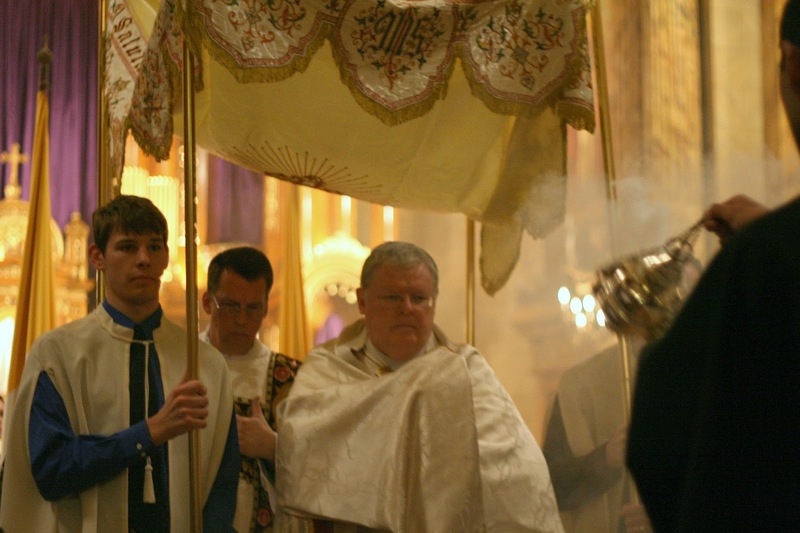 The Novus Ordo is partly, but not exclusively, responsible for the loss of solemnity, and there is plenty of work that we can and should do, in regard to both forms of the Roman Rite, to intensify and elevate the solemnity of our liturgical celebrations. The ultimate solution, if we’re talking about a “Reform of the Reform,” can only be a Missal that is in deep and manifest continuity with the classical Roman rite. 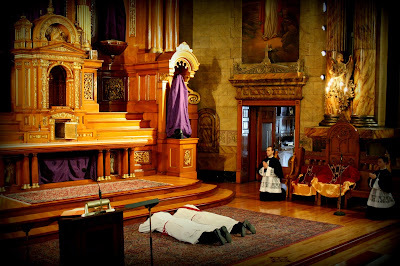 Indeed, as is generally acknowledged, even the Missal of 1962, as excellent as it is, already embodies the massive rupture of the post-1948 Holy Week ceremonies. 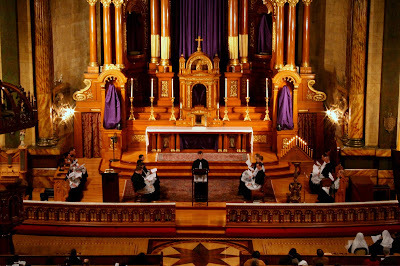 Perhaps the distant path to liturgical peace and coherence will go by way of the 1962 Missal as the base text, with a restored pre-1948 Holy Week, and a few additional Prefaces, votive Masses, and saints’ feasts, so that the Missal is both up to date and manifestly Roman. Ah, but now we are daydreaming. 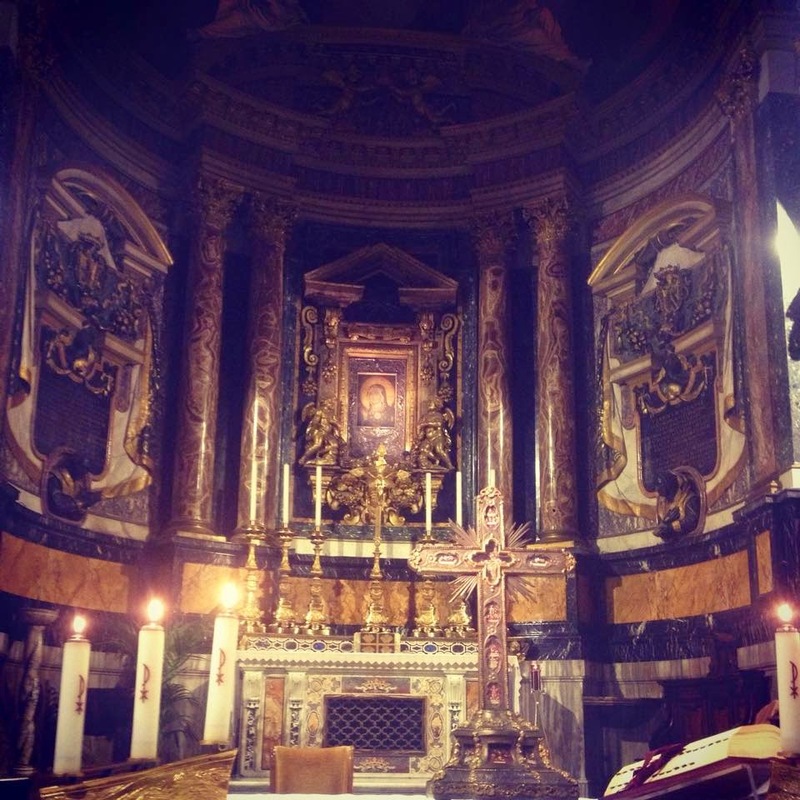 Our immediate work is somehow both simpler and more demanding: to offer the Sacrifice of Praise in both forms of the Roman Rite, as they now exist, with as much solemnity as possible, according to our circumstances, in continuity with the best of our tradition. 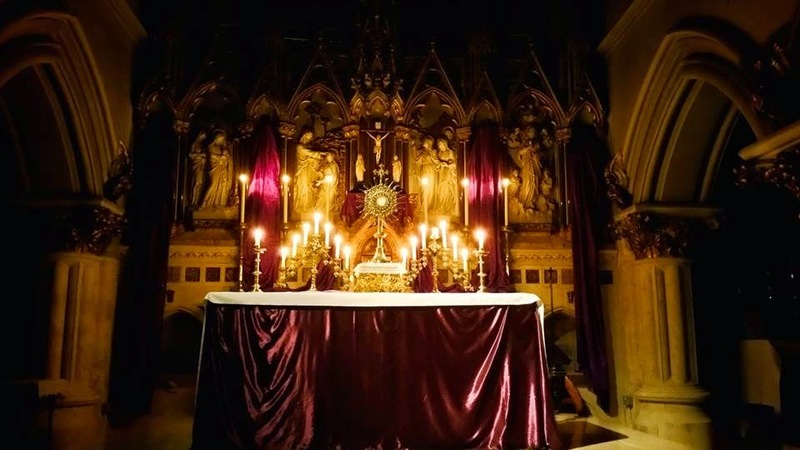 Surely, in whatever capacity we serve our Lord, we may consciously strive, in all the ways at our disposal, for the “due solemnity” that befits the celebration of the Church’s sacraments and liturgies. Nothing less is worthy of our King to receive, nothing less is fitting for man to give. 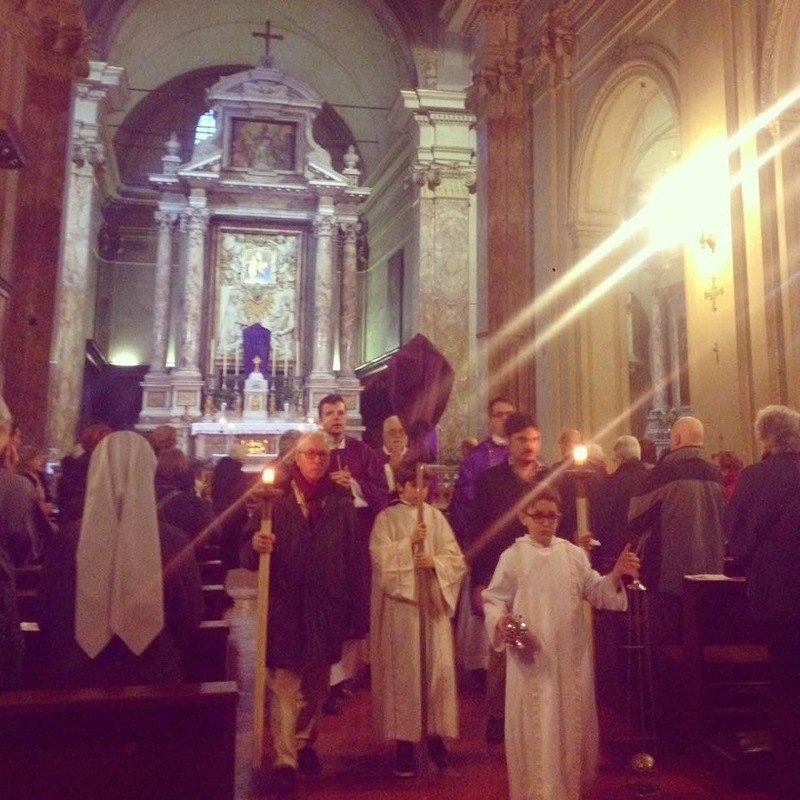 Turba multa, quae convenerat ad diem festum, clamabat Domino: benedictus qui venit in nomine Domini, hosanna in excelsis! 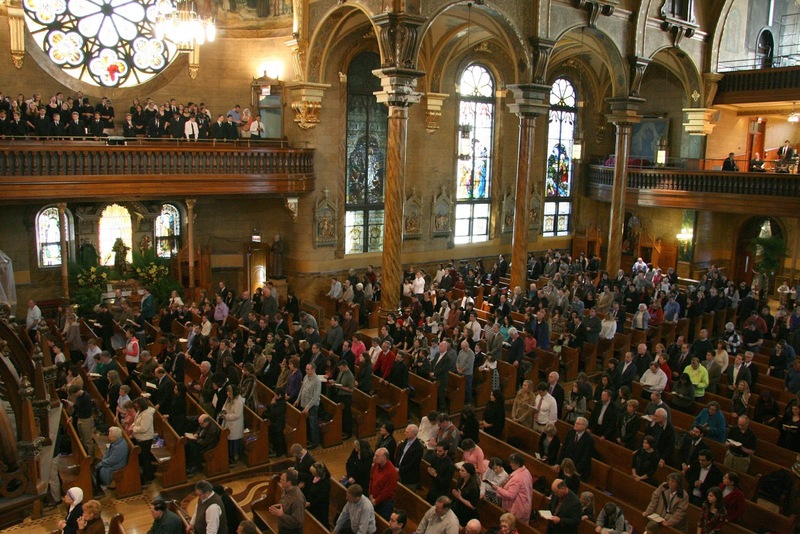 ​The Society for Catholic Liturgy will celebrate its twentieth anniversary in the heart of Manhattan ​with a conference exploring how the Church’s sacred worship is dignum et iustum, right and just. Presentations will be 45 minutes in length, followed by 15 minutes of discussion. Papers presented will be considered for publication in Antiphon. The Roman Mass of the day makes no other reference to the Gospel; in this sense, the Ambrosian Rite gives Lazarus much greater prominence. The First Sunday of Lent in the Ambrosian Rite is called “in capite jejunii – the beginning of the fast”; the following four Sundays are each named for their Gospels, all taken from St John: the Samaritan Woman (4, 5-42), Abraham (8, 31-59), the Blind Man (9, 1-38), and Lazarus (11, 1-45). On the Fifth Sunday, four of the seven Mass chants cite the day’s Gospel, and the Preface speaks at length about the Raising of Lazarus. The Ingressa (Introit) of the Mass is similar to the Roman Communion cited above. Troparion Τὴν κοινὴν Ἀνάστασιν πρὸ τοῦ σοῦ Πάθους πιστούμενος, ἐκ νεκρῶν ἤγειρας τὸν Λάζαρον, Χριστὲ ὁ Θεός, ὅθεν καὶ ἡμεῖς ὡς οἱ Παῖδες, τὰ τῆς νίκης σύμβολα φέροντες, σοὶ τῷ Νικητῇ τοῦ θανάτου βοῶμεν. Ὡσαννὰ ἐν τοῖς ὑψίστοις, εὐλογημένος ὁ ἐρχόμενος ἐν ὀνόματι Κυρίου! 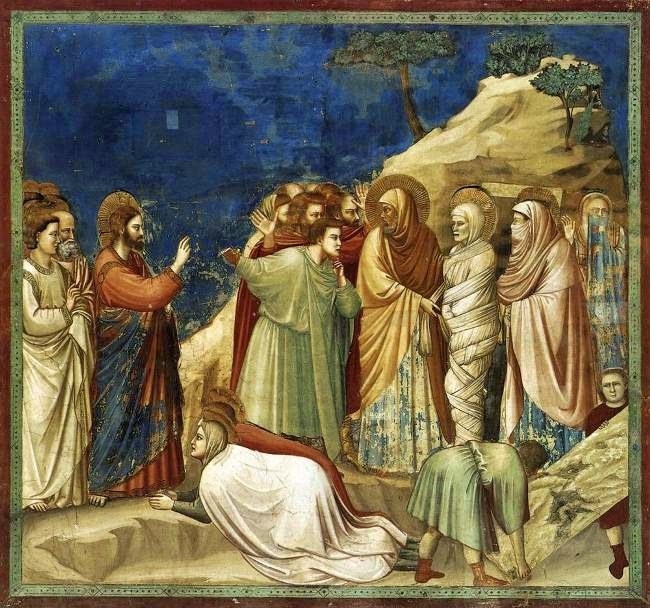 The troparion of Lazarus Saturday sung in Spanish, Old Church Slavonic, Arabic, Romanian and English. Kontakion Ἡ πάντων χαρά, Χριστός, ἡ ἀλήθεια, τὸ φῶς, ἡ ζωή, τοῦ κόσμου ἡ ἀνάστασις, τοῖς ἐν γῇ πεφανέρωται τῇ αὐτοῦ ἀγαθότητι, καὶ γέγονε τύπος τῆς ἀναστάσεως, τοῖς πᾶσι παρέχων θείαν ἄφεσιν. 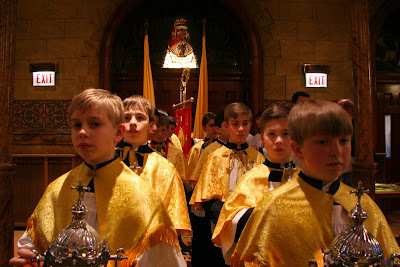 A stunning collection of photographs of Holy Week taken during the last ten years at St John Cantius in Chicago has been assembled, which you can see over at their website. 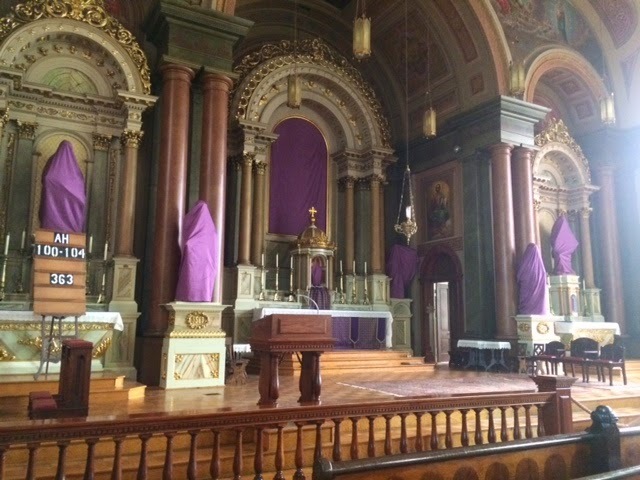 As a preview, I have posted a few photographs below of Palm Sunday, Tenebrae, Good Friday, Holy Saturday and Easter Sunday. Do go and have a look at the whole collection. St. Theresa's Church, Trumbull, CT, celebrated its third Mass in the Extraordinary Form to mark Passion Sunday. The Rev. Shawn W. Cutler, parochial vicar, was the celebrant, assisted by the pastor, the Rev. Brian P. Gannon, S.T.D., as deacon, and Mr. John Pia as subdeacon. 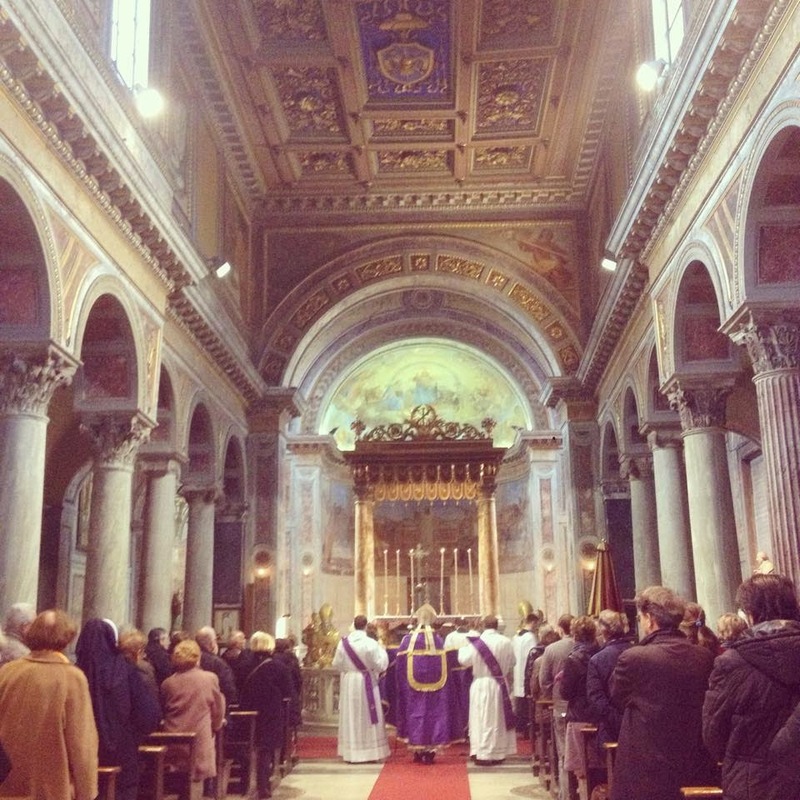 An estimated congregation of 200 attended the mass. The parish schola cantorum provided the music. 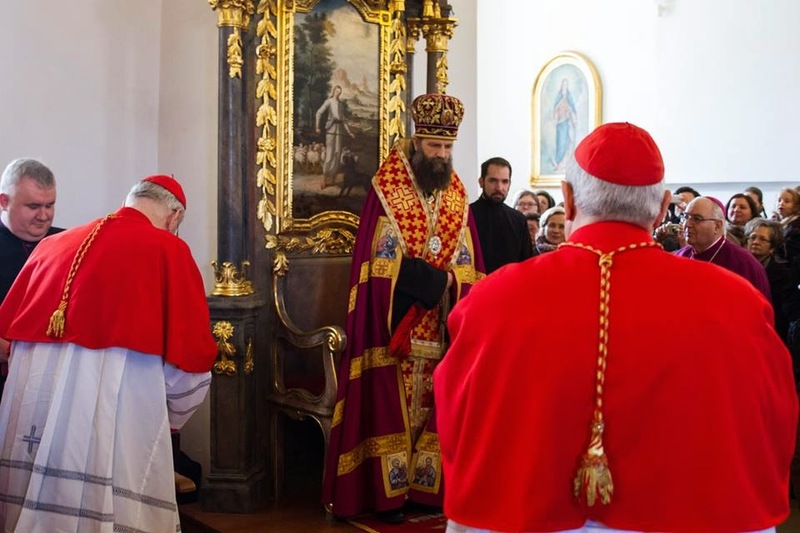 As reported last week on Vatican Radio and elsewhere, the Holy Father has elevated the Hungarian Greek-Catholic Church from a church sui juris to the status of a metropolitan church sui juris. 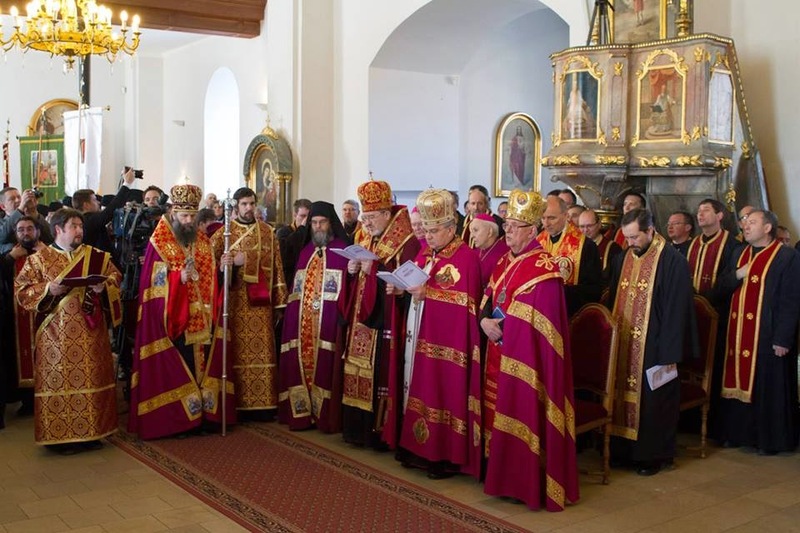 The Eparchy of Hajdúdorog has been raised to the status of a metropolitan see, and Fülöp Kocsis, hitherto Bishop of Hajdúdorog, has been appointed the first metropolitan archbishop. 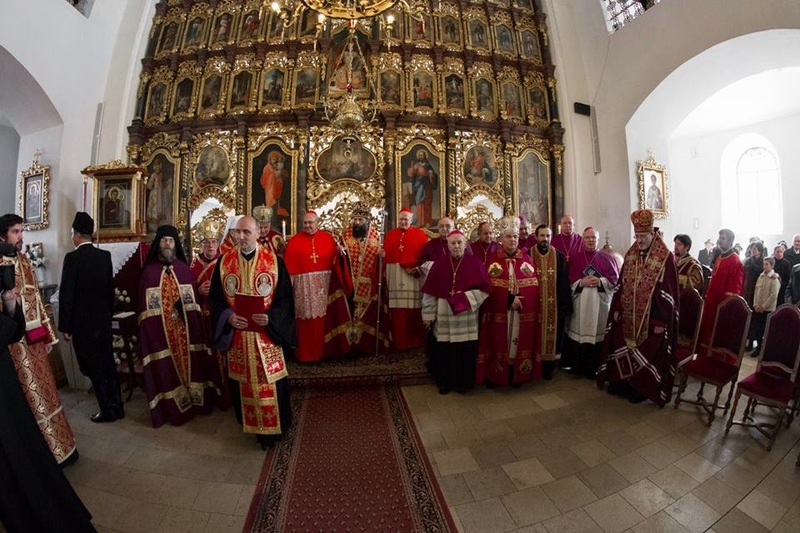 The Apostolic Exarchate of Miskolc has been raised to an Eparchy, and a new Eparchy has been created at Nyíregyháza; Bishop Atanáz Orosz has been appointed bishop of the former, and Apostolic administrator of the latter sede vacante. Both are suffragan to Hajdúdorog. And here is a video of the complete ceremony; you can make it bigger by clicking the link at the top and watching it in a separate window. As always, the high point of our photopost collection is Holy Week;. We invite you to send your photos (whether of the Ordinary or Extraordinary Form) to photopost@newliturgicalmovement.org for inclusion. 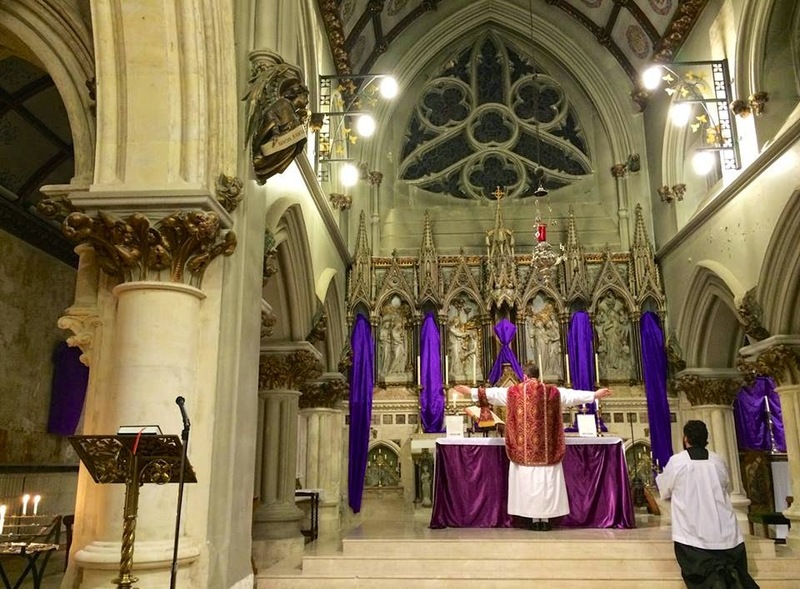 We are also always glad to receive photographs of celebrations in the Eastern rites, as well as vespers and the office. Please be sure to include the name and location of the church, and always feel free to add any other information you think important. 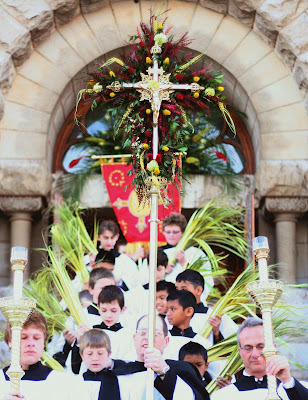 Specifically, we are looking for photos from Palm Sunday, Chrism Mass, Holy Thursday, Good Friday, Easter Vigil, Tenebrae, and Easter Sunday. Missa Cantata in the Premonstratensian Use. Note how right after the Consecration, the priest stretches his hands out in the form of Cross, a very common custom of medieval uses. 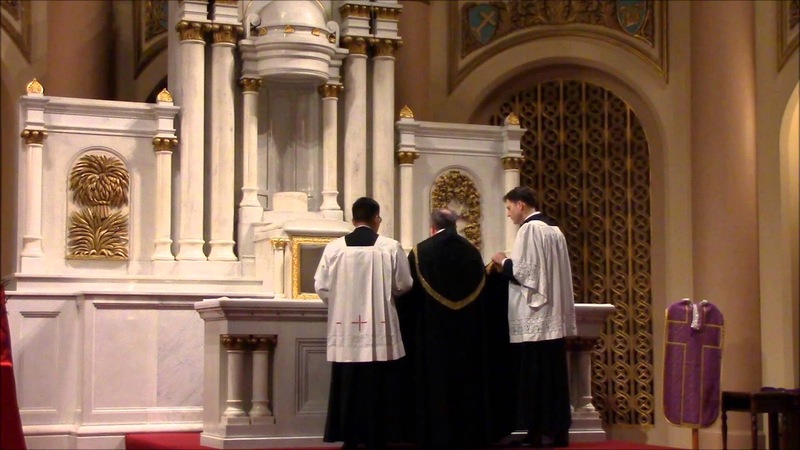 Oratory (in formation) of St Philip Neri - Washington, D.C. 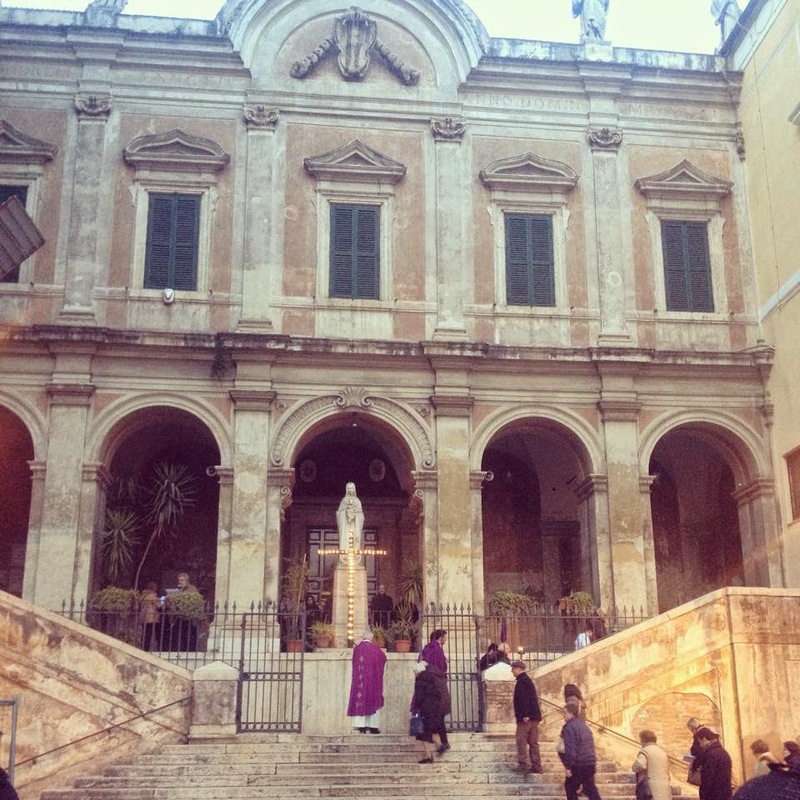 In the historical lectionary, this was the day on which the Gospel of the Raising of Lazarus (John 11, 1-45) was read; the station was therefore kept at the church of Saint Eusebius on the Esquiline hill, right next to a very ancient Roman cemetery. 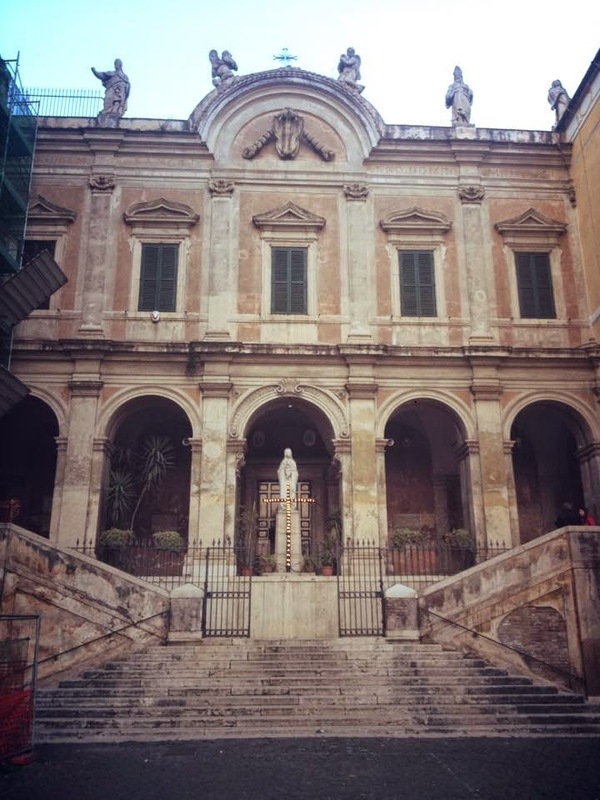 The peculiar name of this church, Saint Nicholas ‘in prison’, derives from a tradition that Saint Nicholas of Myra was brought to Rome and imprisoned by the Emperor Constantius for his refusal to accept the heresy of Arius. 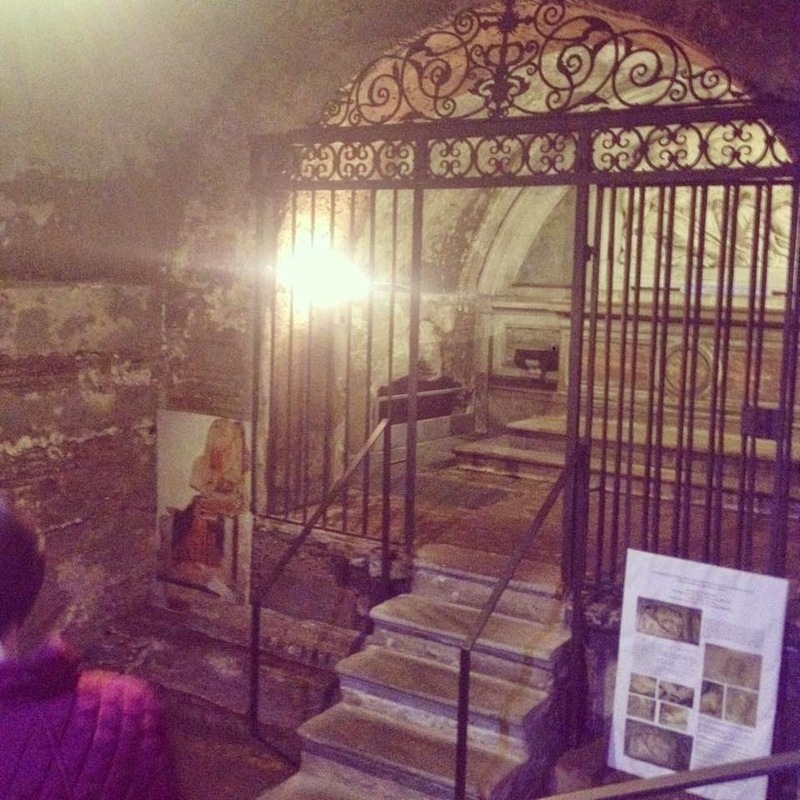 The church encompasses the remains of three temples built in the later years of the Roman Republic, the basements of which were in fact used a prisons in antiquity.